We are SO EXCITED to share with you our 1st full wedding proposal captured! 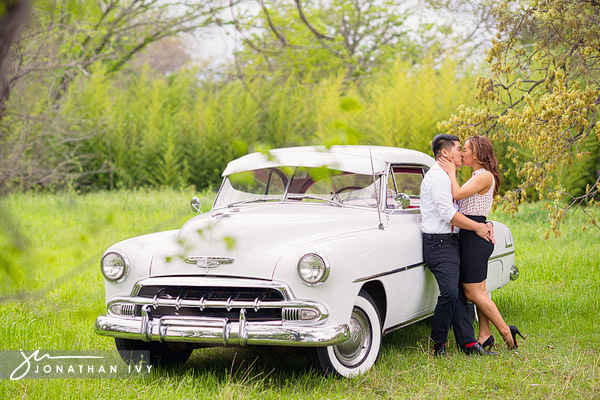 So John contacted me one evening saying that he was about to propose to his girlfriend and that he wanted the whole thing to have a 50’s rockabilly theme with a vintage car. So what did we do, we contacted Lottie with Couture Events by Lottie! She teamed with Rent My Dust to create an adorable 50’s set up. John got Janet to our set up which started in a field and was then moved into Sugar Bee Sweets due to one of those big Dallas storms blowing through. Janet and John both posed and played with us for a bit, John doing an excellent job to not give anything away as we took picture after picture with a ring in his pocket! About mid way through Janet stepped aside to do a mini outfit change and John pulled the ring out. Now the real fun began. Here are a few of the photos from this beautiful and unique wedding proposal. Please click here to view all their photos! He did such a good job with the ring too! White vintage car by Bowtie Vintage Classics! 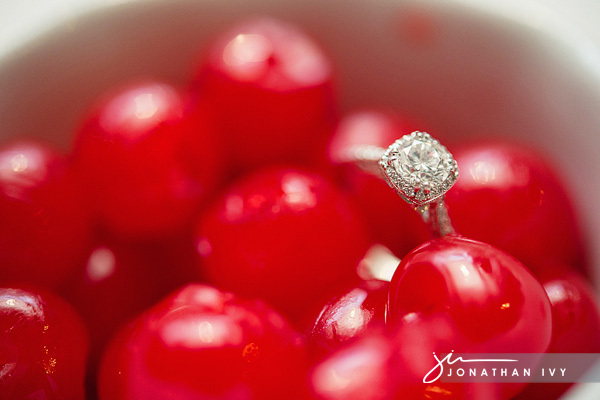 Please click here to view their Wedding Proposal Slideshow!